ScreenIT A30 for optimal sound absorbtion. 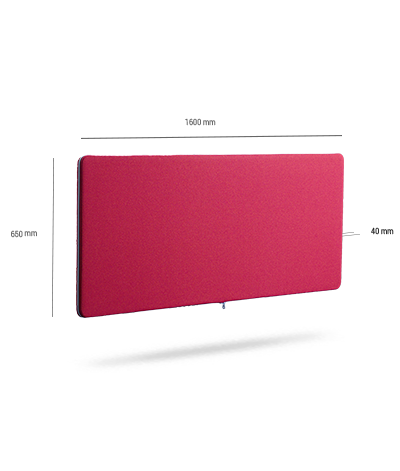 The 30 mm noise absorbing recycled polyester is framed in wood and coated with a foam laminated fabric. Combine fabric with different colours of zipper or seam. The screen can be completed with Freewall for attach accessories. Max load 6 kg. Contact us for special measurment or fabric.